School is back in session! Why celebrate “back to school” with a signature apple when you can celebrate with apple pie cupcakes! 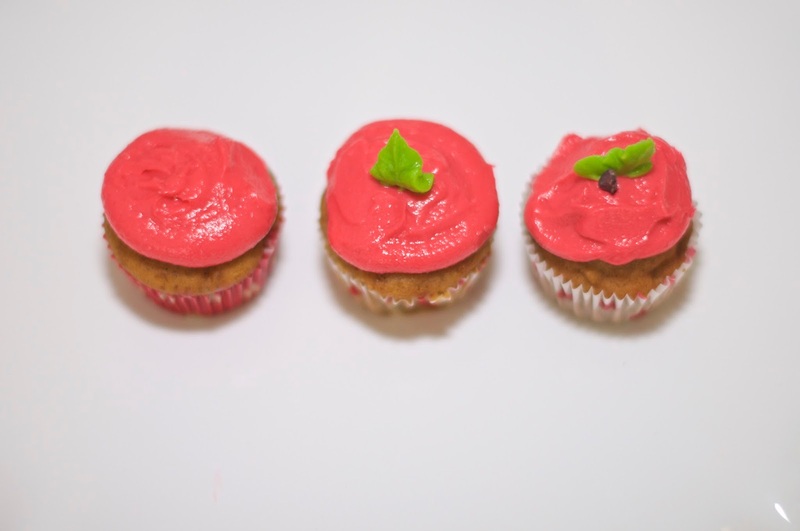 These cupcakes are easy to whip up. 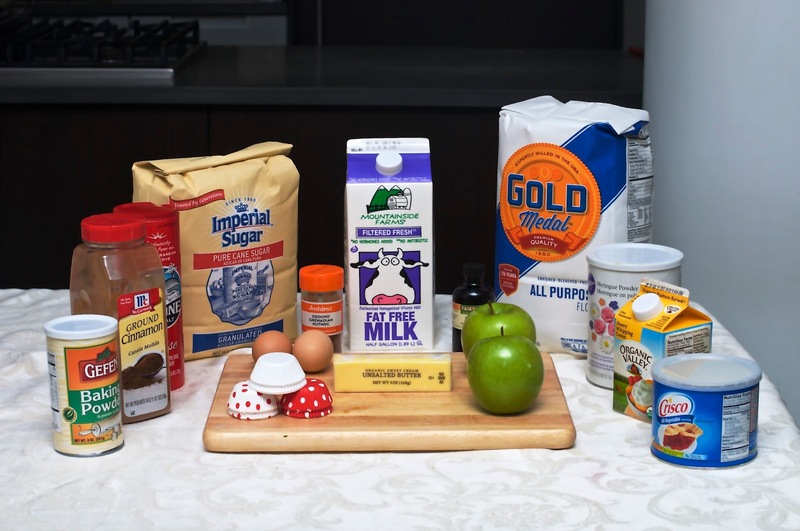 Plus these treats give you all the comforting flavors of apple pie without having to roll any dough! I like to bake with seasonal ingredients. Although apples are available year round, they are the best from August until the start of spring. 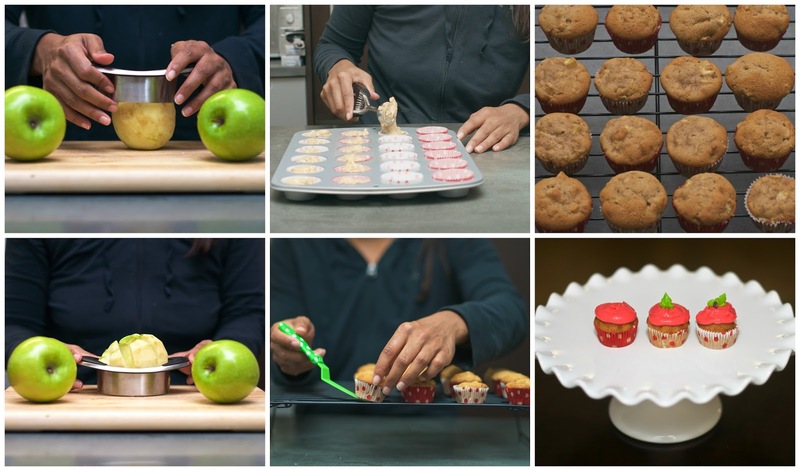 Fall is the best time to make scrumptious apple flavored treats since several types of apples peak then. 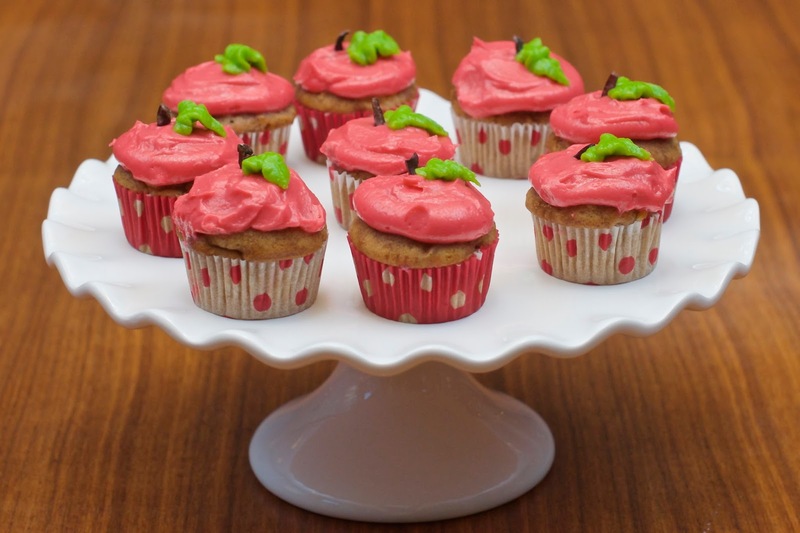 These apple pie cupcakes are perfectly seasoned with cinnamon, nutmeg and a touch of sea salt. I paired them with Toba Garett’s buttercream frosting. Every bite was absolutely DELICIOUS! These cupcakes will also work perfectly for any New York or Apple themed party. We served them at our good friend’s Big Apple to the Minneapple themed farewell party. They were a big hit! Fill the cupcake liners three-quarters of the way full with batter with a mini ice cream scoop. Previous Post We Have Ears, Say Cheers! Next Post Let’s Have a Hoot!